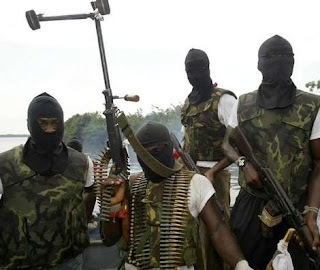 Barely 24 hours after the Niger Delta Avengers blew up Chevron’s Escravos pipeline, the militants say that they have blown up a pipeline belonging to the Nigerian National Petroleum Corporation (NNPC). The group said in its Twitter feed on Friday that it blew up the NNPC gas and crude trunk line close to Warri in Delta State, Nigeria’s Niger Delta region. The spokesman for the Ijaw Youth Council, Mr Eric Omare, said that another crude pipeline was attacked on Thursday night near Batan Oil field in Warri. He added that there were two simultaneous attacks on the PPMC and NNPC pipelines. The attack is coming as the Minister of State for Petroleum, Dr. Ibe Kachikwu, said that government needs to improve its amnesty programme for militants in the Niger Delta to address neglect by the government and international oil companies.